Plague has been the greatest scourge of mankind in recorded history. The plague bacillus has been identified in skeletons in Eastern Europe and the Balkans dating from the late Neolithic period and the Bronze Age, perhaps carried by migrations from the Russian and Ukrainian steppes around 4,800 years ago. Since then there have been three pandemics, which have killed millions of people, and the disease still claims roughly a thousand victims a year. The first outbreak began in the mid-sixth century in Ethiopia and reached Constantinople in 541, during the reign of the emperor Justinian. It had subsided by the mid-eighth century and Europe did not suffer from further eruptions of plague until the onset of the Black Death in the 1340s. 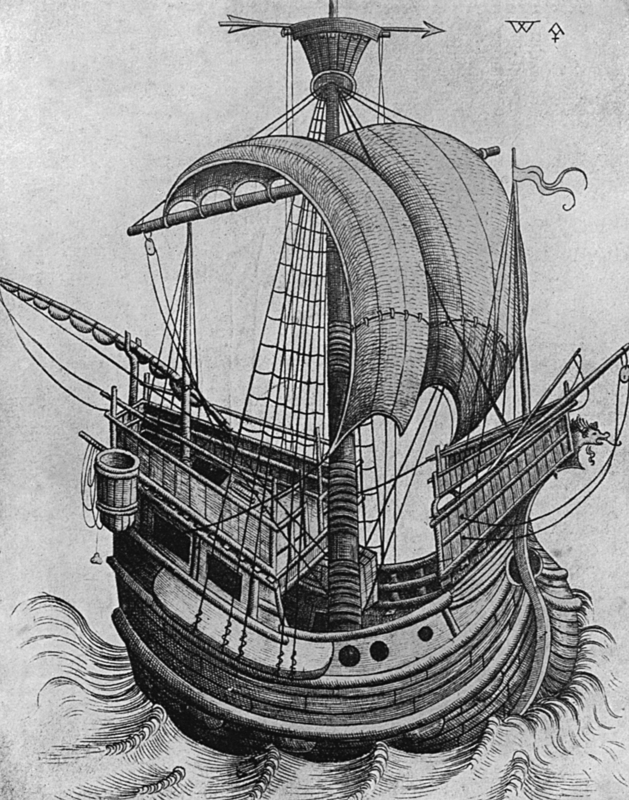 Its arrival in the Mediterranean world was attributed to a siege by the troops of Janibeg, the Khan of the Golden Horde, of the port town of Kaffa (now Foedosiya) on the Black Sea in 1345-6. From there it spread to Europe, the Middle East and North Africa, reaching Iceland and Greenland. In response to a request from the Pope an estimate of the number of victims was made which put the death-toll at 23,840,000, or roughly one-third of Europe’s population. That cannot be taken as at all accurate, but gives some indication of the scale of the catastrophe and the fear which it produced, for who could hope to survive when a virulent disease was striking down so many? The nature and symptoms of the plague generated horror and dismay. Victims complained of headaches, quickly followed by a fever and vomiting, with painful blotches developing that were caused by haemorrhaging beneath the skin and buboes forming on the lymph nodes in the groin and armpits, and on the neck. As the buboes grew, so did the pain, which was so excruciating that some victims became uncontrollable and delirious, screaming and running wildly around the streets, and their speech became impaired. Foul smells emanated from the sick, repelling those caring for them, and the affliction produced such fear and revulsion that the sufferers were left unattended. The social structure threatened to disintegrate as the rich fled and many who remained gave themselves up to riotously wild living. Those who were prepared to stay and nurse the sick or bury the bodies were accused of doing so to rob the victims and loot their houses. One complaint that was made was that the clothing ‘of those who were once noble are now divided as spoil . . . among grooms, and maid-servants and prostitutes’. Social norms had been discarded during the epidemic and it took time for them to be re-established. Death rates among those infected are hard to determine but estimates of between 75 and 80 per cent are probably not far wide of the mark. Few of those who survived left any record of their sufferings, and from the few accounts that we have what comes across is the pain, fear and sense of desolation that the victims experienced, and the panic and aversion which it caused in others, even family and friends, so that the victims were left to suffer alone. The Black Death had subsided by 1352 but the plague returned intermittently over the following centuries. 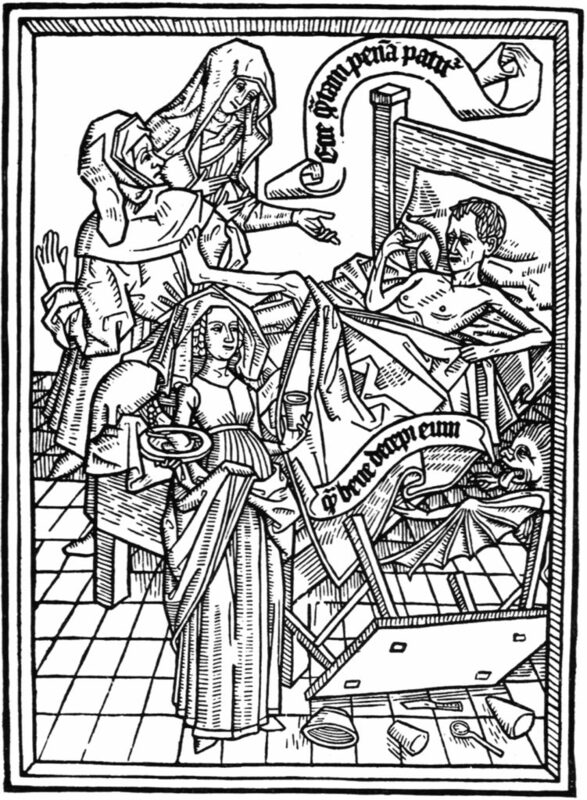 It was never again to spread so universally across the continent as it had done in the fourteenth century, but in the regions and cities afflicted during an outbreak the suffering was no less, the social disruption caused was as damaging and the proportion of the population that died was as high as during that first epidemic. 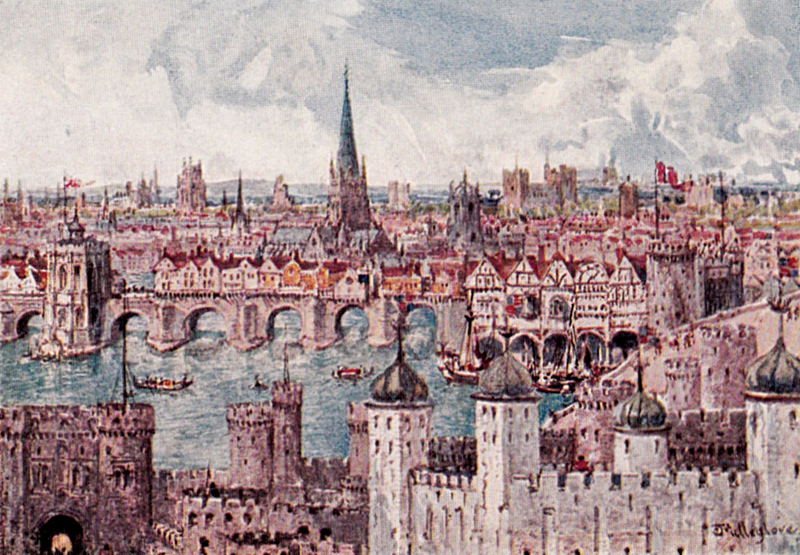 Plague outbreaks contributed to the slow recovery of population numbers in the late Middle Ages; London did not attain its pre-Black Death size until the mid-sixteenth century. Not until the late nineteenth century was the plague bacillus Yersinia pestis identified and the means of transmission recognised to be rats’ fleas moving from host to host to feed, carrying the infection and spreading it through their bites as they drew blood. More recent work has acknowledged that human fleas and lice carry the disease, as well as rats’ fleas. Taken by surprise and with no notion of what caused the disease or how it spread, contemporaries were at first unable to take steps to protect their communities. But from that first bewildering outbreak in the 1340s steps were devised to try to halt the progress of the disease, with the Italian cities leading the way. Isolation of the sick, either in their houses or in especially-built pesthouses, and control of movement, with the exclusion of people from areas known to be infected, were gradually introduced. Some cities forbade access to those coming from an infected area or anyone carrying or transporting linen or woollen cloth, reflecting the suspicion that the disease emanated from textiles. To identify the presence and progress of plague, records began to be kept of the number of victims who had died and the figures for all deaths. That gave the authorities information which they required to decide what steps to take, and to gain acceptance of their policies, for they did not have the means to enforce either quarantine or restrictions on travel if the population did not agree with such measures. Merchants were bound to resent restrictions on trade and so too were those who supplied food and fuel to their local city or town. Foul air was also thought to harbour the disease in the miasma which arose from stagnant water or piles of garbage, and so the cleanliness of public places by the frequent removal of dirt and waste and the washing down of streets became integral elements of the measures against plague. The well-to-do citizens who occupied parts of houses which were away from the rubbish of everyday existence seemed not to be afflicted to the same extent. That was because those spaces did not attract rodents and their parasites, although of course the connection was not recognised at the time. Many such householders absented themselves until the epidemic had subsided, while the poorer people could not leave. The plague came to be regarded as a disease of the poor, whose lifestyles, even the size of their families, made them vulnerable. The disease was socially divisive, to say the least. From those procedures and an awareness of steps taken elsewhere, similar policies on public health matters developed across Christian Europe and were continued and extended after the gradual ending of the plague threat, from the mid-seventeenth century onwards. London’s last and most deadly outbreak, the Great Plague, came in 1665. Quarantining of shipping and naval controls applied at ports around the coasts of north-west Europe had become a major element in plague prevention, while overland cordons in continental Europe also proved to be effective. 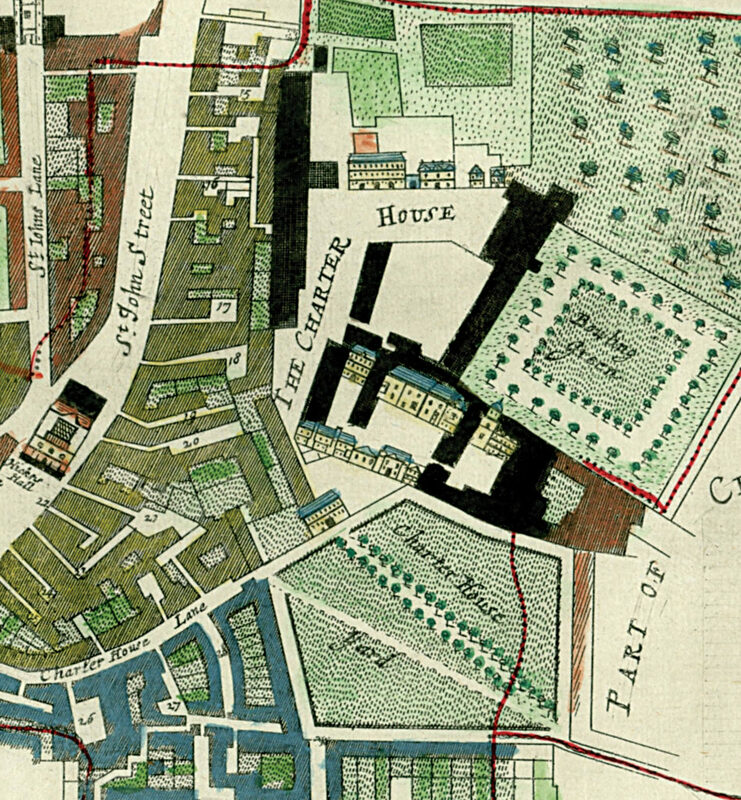 Such measures pushed the source of the disease further away and cities such as London, Dublin, Bristol, Southampton and Amsterdam could be kept free of the disease, for the infected fleas could not survive the long voyages from beyond the cordon. But in the Ottoman Empire plague prevention was not implemented because Islam was deemed to require a fatalistic response to epidemics. Yet plague recurred in east and south Asia and Africa in the late nineteenth century and continued to claim victims through much of the twentieth century. Despite such failures, the measures taken to limit plague were not only retained but became the core of public health policy. When an epidemic of another disease, designated as SARS, struck in 2003, control of travel, confinement of victims and their contacts, and the use of isolation hospitals were implemented, and were effective in halting its progress. Plague’s depredations have created a fear which is still with us and the word has been given a wider meaning, as a curse or a menace, but the responses to plague have developed into a range of practices that are of enormous benefit for public health. Perhaps we should be more aware that plague’s legacy has not been entirely detrimental. 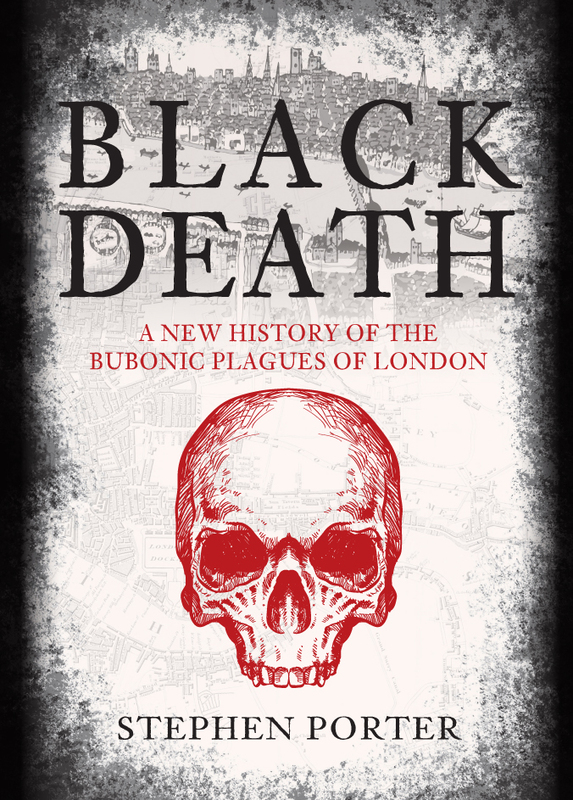 Stephen Porter's new book Black Death: A New History of the Bubonic Plagues of London is available for purchase now. This entry was posted in Blog and tagged Medicine, History of the Black Death, Bubonic Plagues, Black Death, Black Death: A New History of the Bubonic Plagues of London, Stephen Porter, Medieval History, Early modern history, London, Early History on December 10, 2018 by Amberley Publishing.